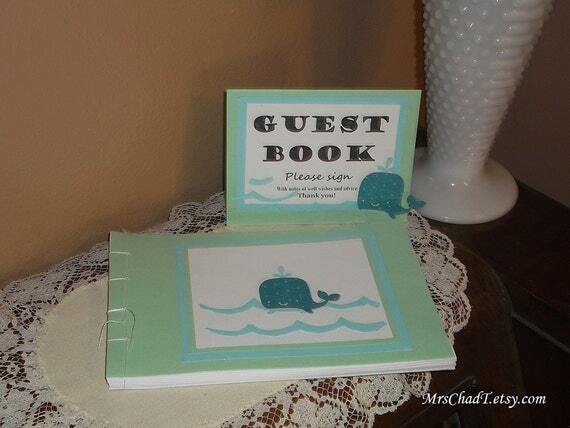 MrsChadT: The Baby Whale Guest Book has arrived. I've got a new design for you all today. 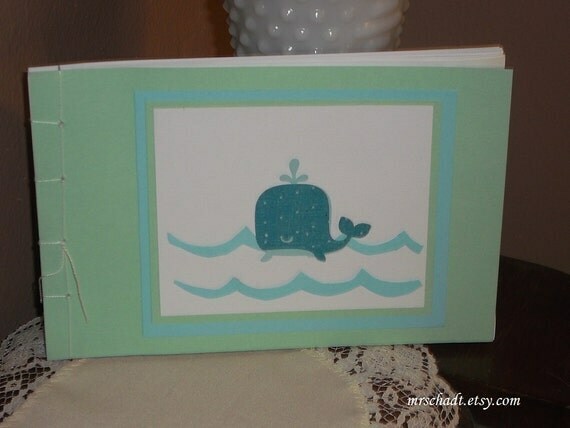 Recently, I had a custom design request for a whale baby shower book. Since I can recreate this book and customize the colors of the design to match your baby shower, I'm happy to say I've added this book option to the shop this month. It's inspired by the sail boat guest book that's currently available here. 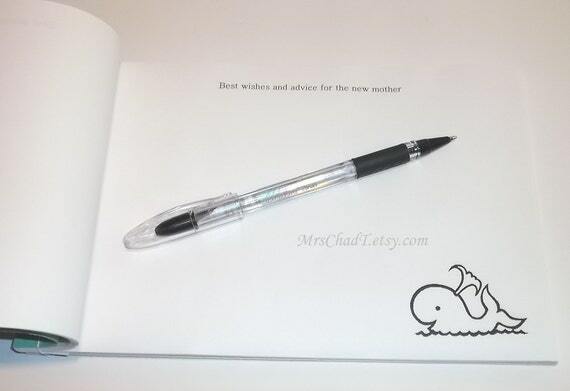 And like the sail boat book, I've designed some custom signature pages inside as well as a first page that can be personalized with name(s) and date or special saying. This book is made using mint green cover stock and light blue. The whale design may vary when I run out of the blue star burst paper and depending on the colors requested. As always I'll keep updating the photos on the listings in the shop to keep them current. Right now my turn around time is about 3-5 days on orders. With the holiday season approaching it may start to take longer during those months, so be sure to keep that in mind when needing to order. As always you can contact me and let me know your event date to be sure it will arrive in time. You can find the whale book in the shop here! Thanks for sharing and supporting my shop.